The next day, March 12, I felt a kind of indistinct hope and ineffable excitement. This was because I had mostly discussed the “Son of man” with Susan the night before, and had talked about the “incarnation” as well. Even though I could draw a connection between the ‘Son of man’ and the ‘incarnation,’ and could know in theory that the Lord Jesus is none other than the incarnate Christ, I still wanted to know the answers to questions such as what the incarnation truly is, what Christ is, on what basis one could say with certainty that God has become incarnate, and so on. But since Susan and I both had work during the day and were only free in the evening, I just hoped that time would move a bit more quickly. After that, Sister Susan told me that these were the words of Almighty God, said that God’s word is the truth, and that it is only God Himself who is able to express the truth. When the sister mentioned the words “Almighty God,” I stared blankly for a moment, even though it didn’t come as a complete surprise since I had previously guessed that she might belong to The Church of Almighty God. I had read some rumors online about this church. Because I thought of myself only as a Christian, and that it was my duty to revere God in my heart, I did not want to come to any conclusions lightly before understanding the truth of the matter. This was to avoid committing any offense against God. Besides, I had been thinking these last few days: Sister Susan and I had spoken together quite a few times, and even though I could not see who I was talking to, the truth she fellowshiped to me was still able to solve my problems. Through our discussions and by reading her posts on her timeline, I thought that she and Qi Fei were both sincere, warm, and good people. What they fellowshiped provided me with much edification and benefit. It was said once in the Bible: Know the tree from its fruit; good trees produce good fruit, while bad trees produce bad fruit. So, through my contact with Sisters Susan and Qi Fei, I slowly let go of the doubts and apprehension in my heart and allowed Susan to go on fellowshiping. When I heard what the sister fellowshiped, the feeling I had had of contentment and excitement returned. I had originally not understood these passages when I had been a member of my old church, but had only understood them in their literal sense, thinking that the Lord’s return would be upon a cloud and known to all. Now, I finally understood that God comes first at the hidden advent to do a stage of the work of judging and saving man. When a group of overcomers are made, only then will He openly manifest Himself to all nations and peoples of the world. If it were as we had thought, that when the Lord returns He will be upon a cloud known openly to all, making Himself seen by everyone, then when that day arrives we would go straight to hell because God’s work of saving mankind would have already ended. Thanks to the Lord’s guidance, in the brief time that Sister Susan had been fellowshiping to me, I understood much. After that, the sister asked me if I wanted to accept Almighty God as my Savior. The first time she asked me, I did not answer, and when she asked again, an indescribable feeling of excitement burst forth within me, and my eyes became wet with tears. Earnestly, I answered: “I will!” When I said these words, I felt like I had been a vagabond wandering out in the wilderness for a long time who had finally returned to his warm home. I was extremely happy and steadfast in my heart. After I had accepted Almighty God’s work in the last days, I posted some of Sister Susan’s articles. Soon after that, five or six Facebook friends sent me messages telling me to “wake up” and sent me some websites which were full of attacks, accusations, and defamation of The Church of Almighty God. I knew that this was the disruption of Satan, and did not let it bother me. The next day, a pastor came online. After chatting with me for a little while, he asked me, “Do you really believe in Almighty God? Why is it that you want to believe in Almighty God?” I was so mad when I heard this, and asked him: “The sheep of God listen to the voice of God. 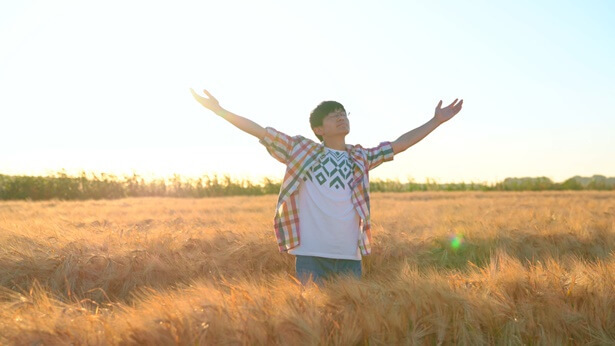 I have recognized from the word of Almighty God that everything expressed by Almighty God is the truth, and is the voice of God, so why should I not believe in Almighty God? Why?” He might not have thought that I would ask him something like this and did not answer for a while. I asked him again, “Pastor, have you investigated the work of Almighty God in the last days? Have you read the word of Almighty God? As a pastor, how can you refuse to seek and investigate, but just come to whatever conclusions and accusations you want?” I didn’t expect that he would start stammering and stumbling for an answer, and he suddenly logged off. When I saw the pastor in this state of distress, I was incredibly happy and felt a satisfaction as if I had one of victory over Satan. Actually, all that I had done was make use of some of the questions that I was used to discussing with Sisters Susan and Qi Fei, and said something from what I had learned from the word of Almighty God, but I had never expected this grand pastor to be stumped by my question. This little bit of experience gave me a lot of confidence. Thanks be to God! Before I knew it, over five months had gone by. By attending gatherings and reading the word of God, I understood what the incarnation is, what kind of people may enter the kingdom of heaven, and other aspects of the truth. Throughout this time, I was harassed by the rumors the pastors and elders spread about me. At times I was negative and weak because I could not discern the trickery of Satan, but God was always by my side. I continued to read the word of God with the sisters, who patiently fellowshiped the truth to me and allowed me to distinguish the elders’ and pastors’ satanic nature of hostility to the truth and resistance to God. I also began to have some discernment toward their despicable intent to do their utmost to prevent believers from seeking and investigating the true way. No longer would I be led astray or controlled by them, and I was finally able to break through the dark influence of Satan. I was able to be raised up before God’s throne. All this was a grace and blessing for me from God. Thanks be to Almighty God! I am able to turn to God, which has long since been predestined by God. I will rely on God to move forward steadfastly! When I return to the house of God, the first song I learned was the hymn called “Walking on the Right Path of Human Life”: “I see that everything I have comes from God—it is all God’s grace. I follow Christ and pursue truth and life; I’m walking on the right path of life. …” Now, I preach the gospel and bear witness to God with my brothers and sisters in the church, and I want to do my utmost in my duty, to return God’s love!